There are seasonal issues that can make February an especially difficult month for everyone. The holiday rush and start of the new term are over, the daylight hours are shorter, and midterms are looming large. Work may pile up as students fall increasingly behind. They may no longer have the positive input or feedback that good parents may have provided when they were younger. Seasonal Affective Disorder is fairly common. 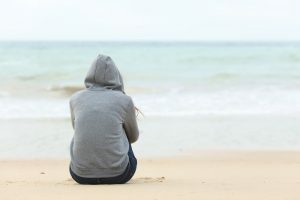 Symptoms of seasonal affective disorder tend to begin in the teen to early adult years and affect 5-10% of the population. Symptoms may include: increased feelings of stress or anxiety, oversleeping, lowered mood, more irritability, appetite changes, changes in school performance. If students are away at college or if adults work in an office setting, they may be able to get accommodations such as a light therapy box or room with natural lighting. Sleep-wake cycles can also be very chaotic at university – especially with additional factors such as all-nighters, caffeine, and nighttime media use (fyi – there is a free app for mac called f.lux that reduces sleep-disrupting blue light). If this is you, here are some suggestions: maximize your time in daylight, continue to do activities you enjoy, eat well, exercise, get enough sleep, consider light therapy and professional help if symptoms don’t improve.